Thank you for considering a bequest to the Good Samaritan Foundation. A gift left in your Will is a lasting legacy. This generous act is appreciated as a true gift of kindness and brings hope and help to those who would otherwise be desperate. You don’t need to be wealthy to leave a gift that is genuinely appreciated by the Good Sams and those they assist. The whole of your estate, if you have no family or dependants. The residue of your estate, after providing for family, dependants and loved ones. A percentage of the overall value of your estate. There are a few simple steps to arrange a bequest. You can either include the bequest when you write your Will, or add a Codicil to your existing Will. We recommend you consult your solicitor when making or changing your Will, to ensure your wishes are recorded accurately and in a legally binding way. You can take this suggested wording to your solicitor, along with our organisation’s details which follow. “I give [the whole of my estate OR my residuary estate OR …..% of my residuary estate OR the sum of $…………. OR the following assets/items of property – list the items] free of all duties and testamentary expenses to the Sisters of the Good Samaritan Foundation Limited ABN 54 169 799 606 to be applied for its general purposes and for the furtherance of its works. 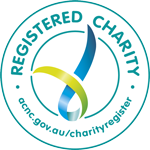 The Good Samaritan Foundation (ABN 54 169 799 606) is a registered company, limited by guarantee. At the time of loss of a loved one, some people prefer to make a gift to charity rather than send flowers. This may have been the specific wish of the deceased or decided upon by their friends and family. Giving an In Memory donation to the Good Samaritan Foundation can be a very meaningful act for those who wish to remember a compassionate and caring friend. We can supply envelopes for In Memory donations or you can also use our online portal on the gofundraise platform. We appreciate your thinking of the Good Samaritan Foundation at this time. Please contact us if you would like to know more. If you decide to make a bequest or establish an In Memory donation to the Good Samaritan Foundation, please contact us, so that we can personally thank you.